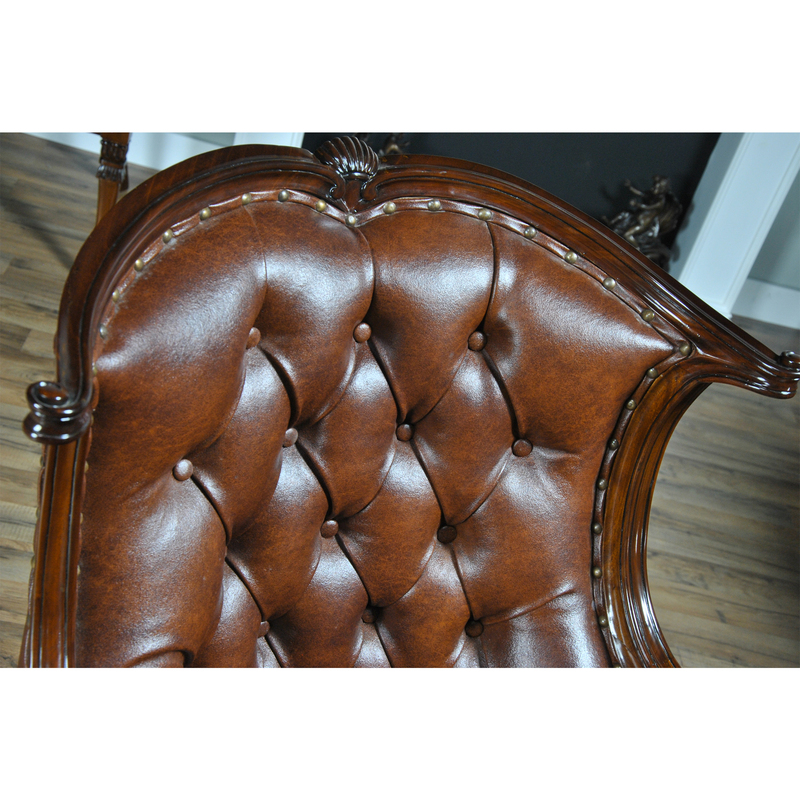 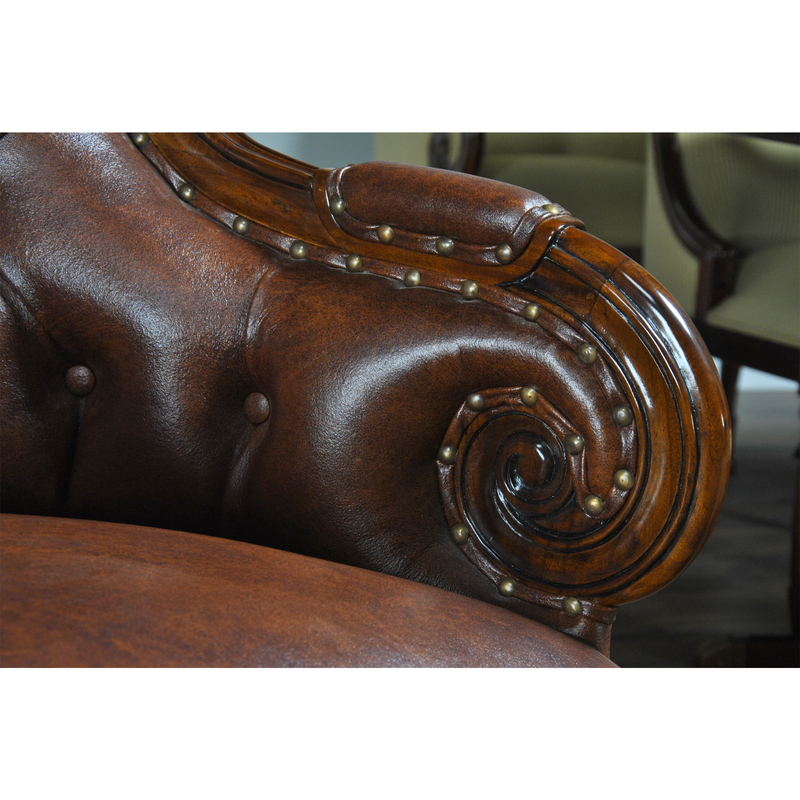 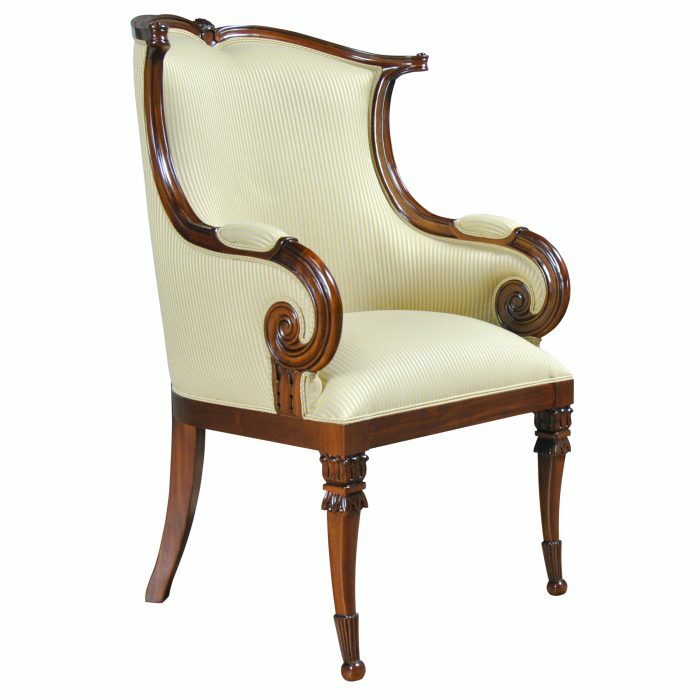 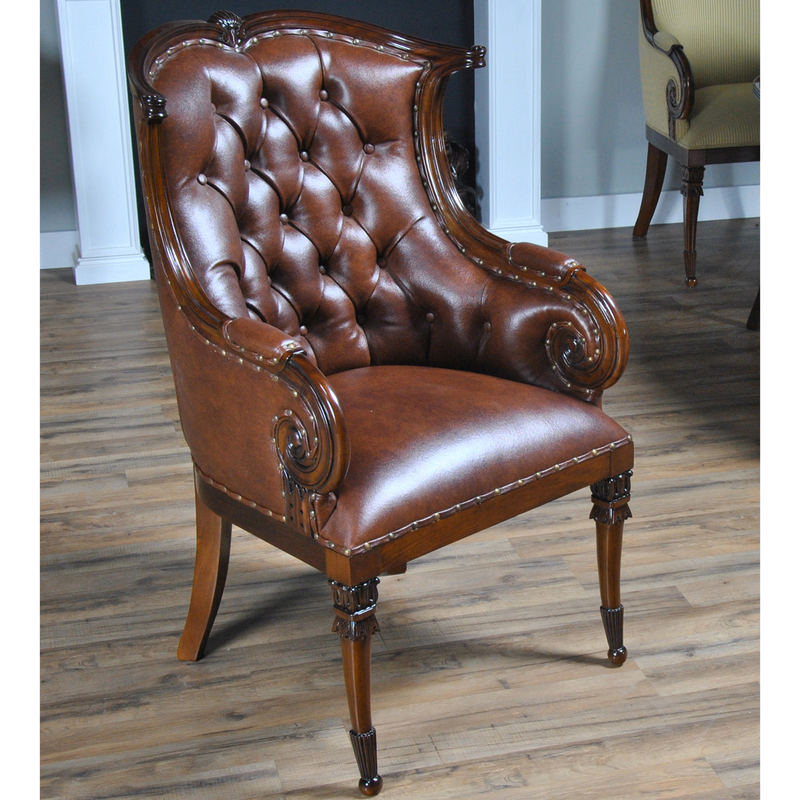 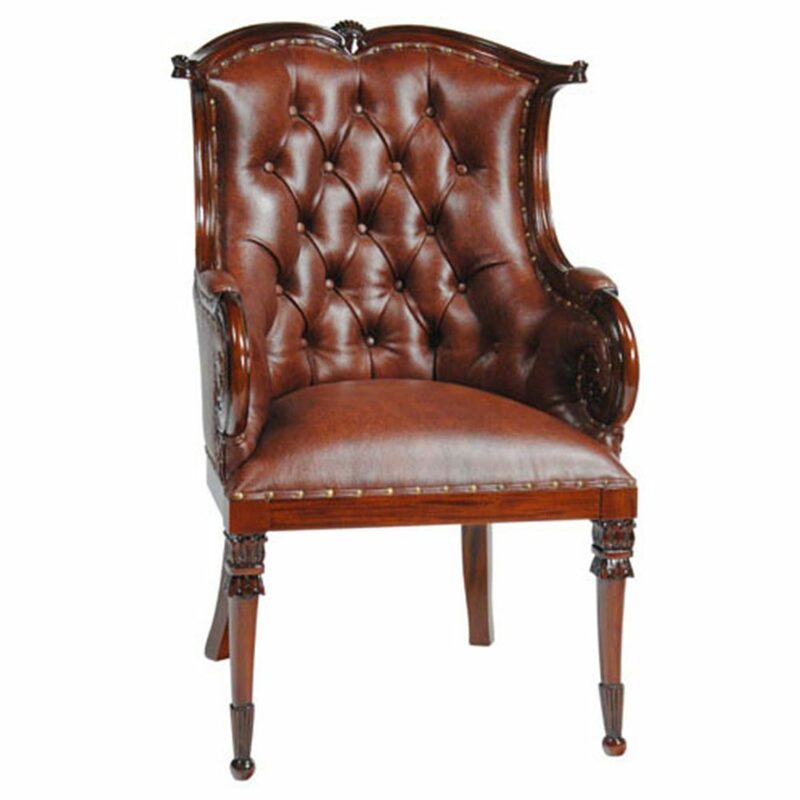 A fine quality Leather Arm Chair from Niagara furniture featuring a solid mahogany frame and full grain genuine leather. 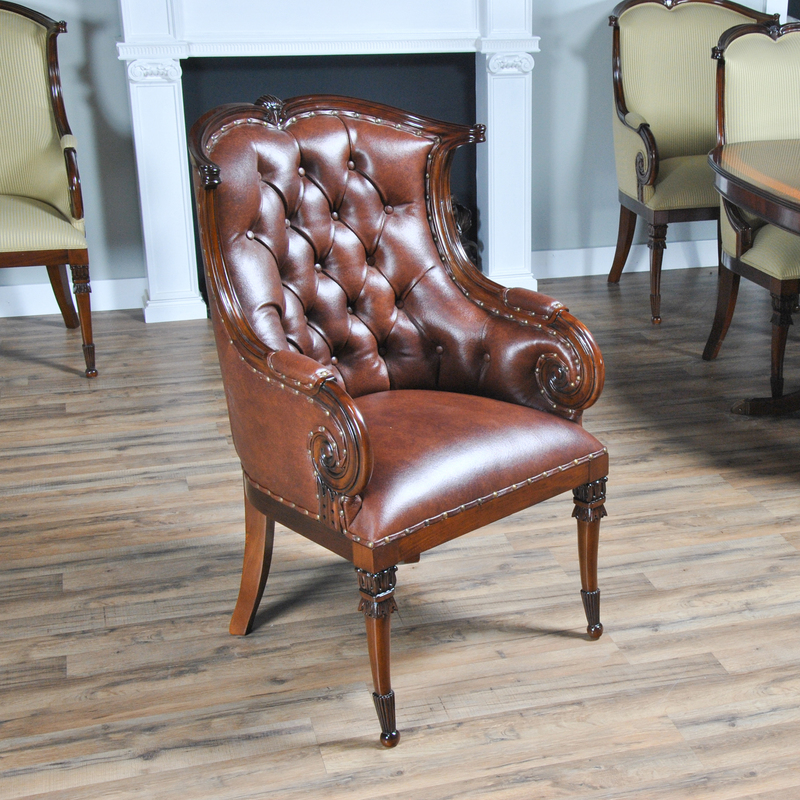 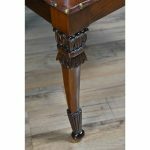 We had so many requests for our traditional fireside chairs to be produced for use in the dining room that we adapted them to fit with this model. 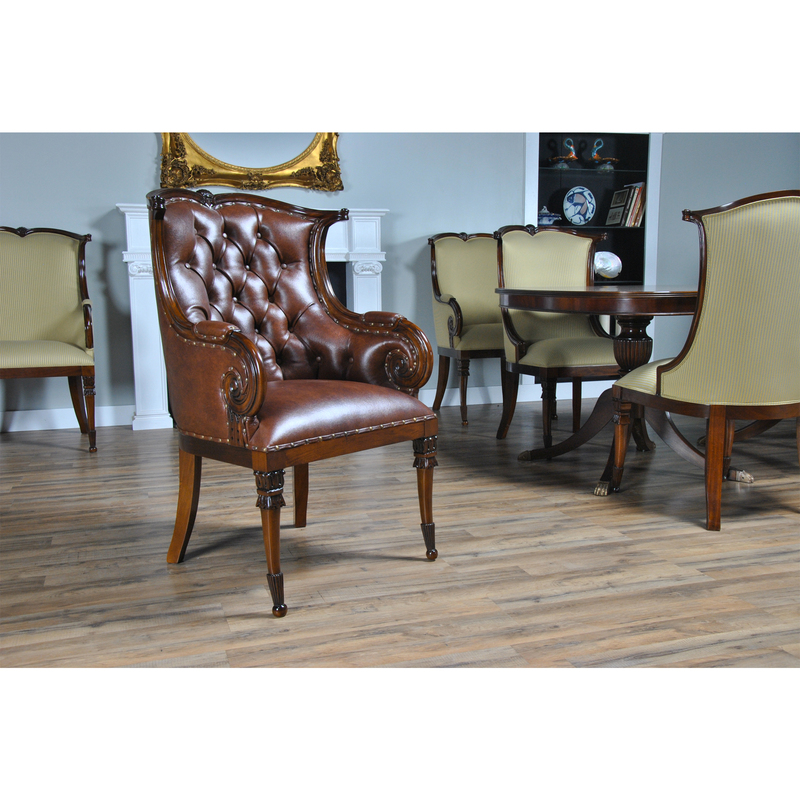 Beautifully finished and upholstered in genuine full grain leather these sophisticated, high end designer style chairs will make any dining room “pop”. The Leather Arm Chair is super comfortable and so attractive you can use them anywhere in the house as a focal point. 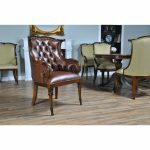 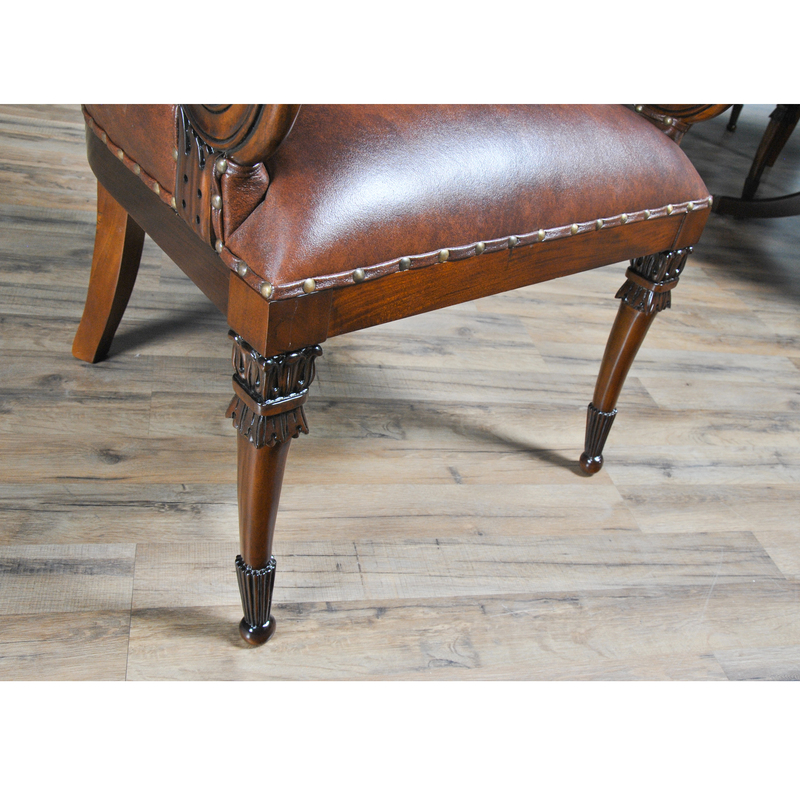 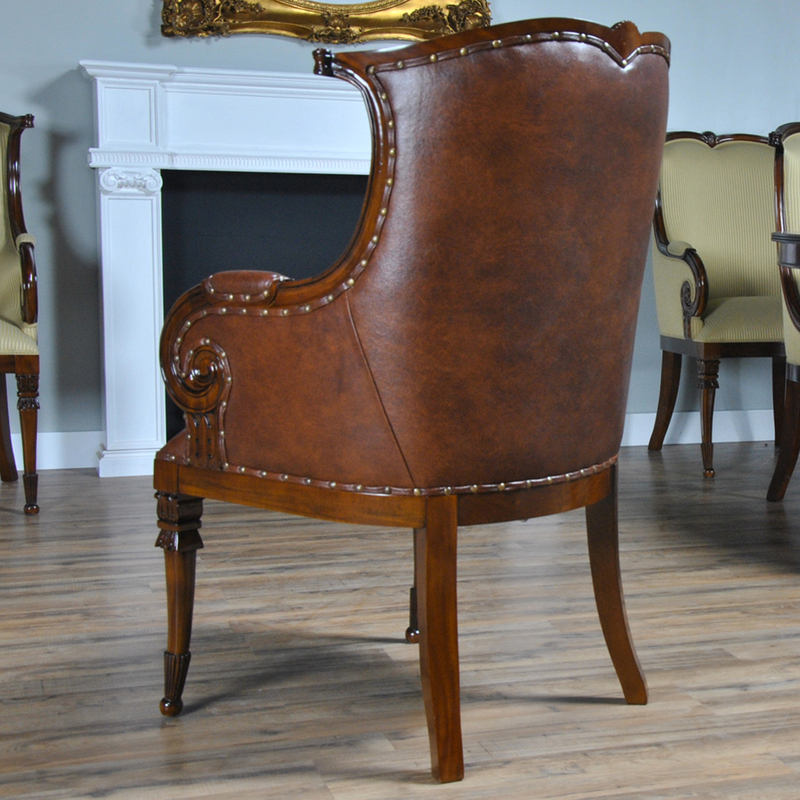 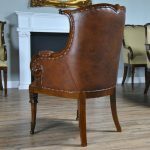 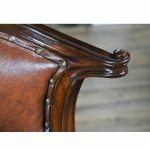 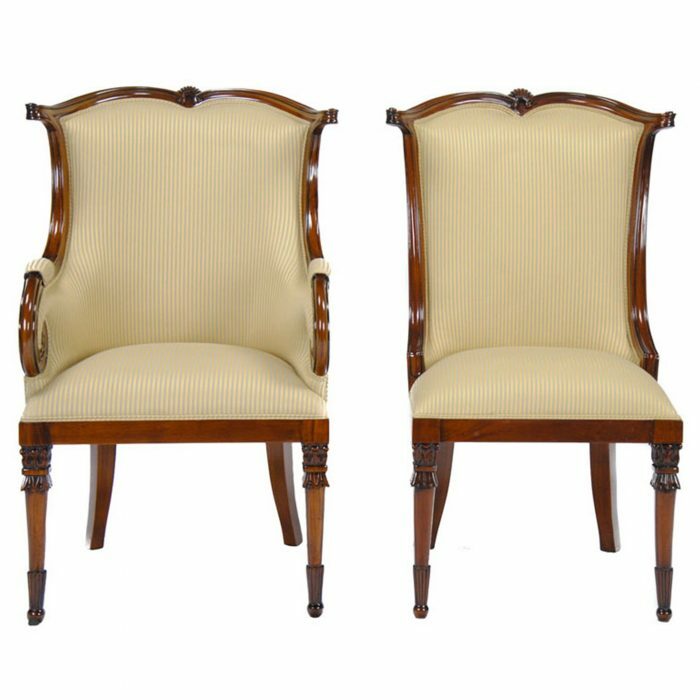 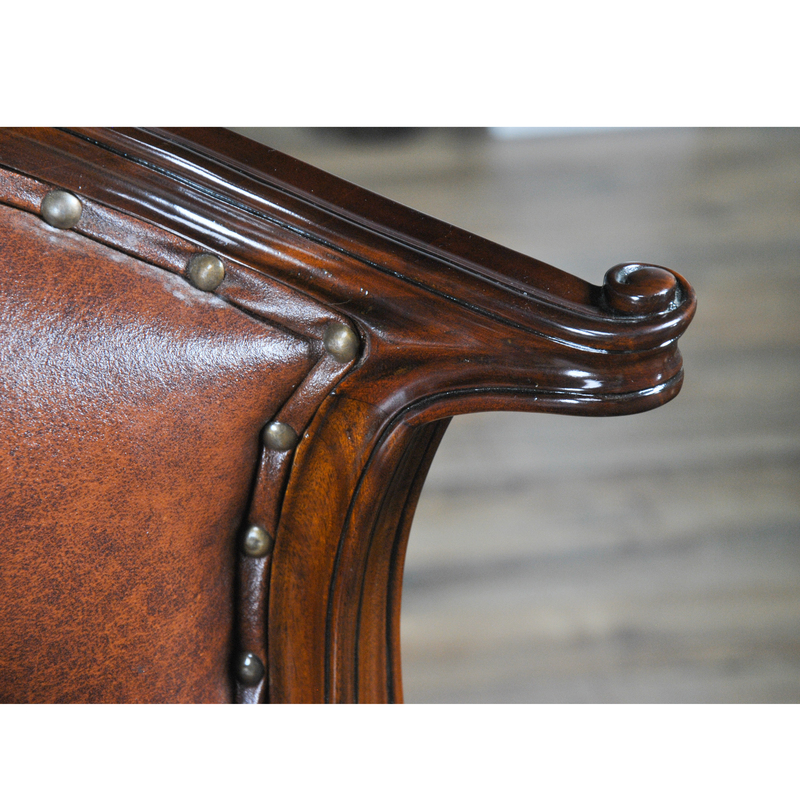 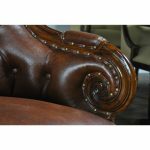 Hand crafted from solid mahogany these chairs ship with a beautiful finish and the best quality genuine leather available. 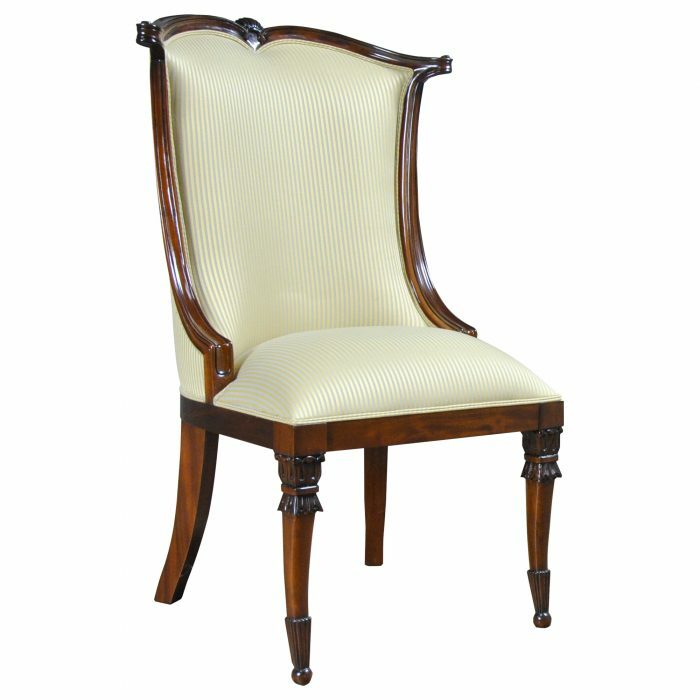 Arm Height approximately at upholstery point 28.5 inches and seat height approximately 21 inches.